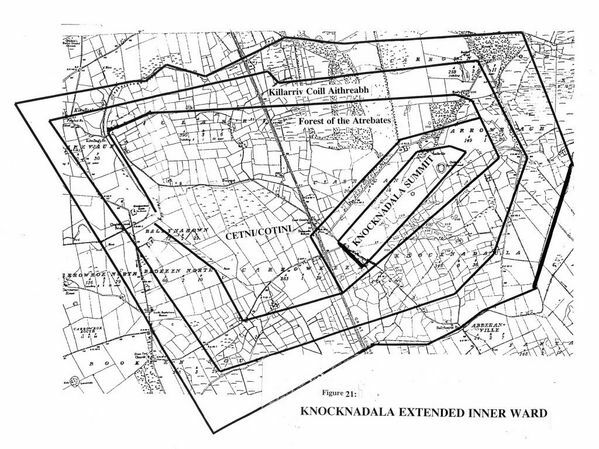 Knocknadala (Assembly Hill) summit inner ward dykes opened out to encompass an urban comp-lex on its W & NW flanks. Its 40 acre Cetni seg-ment is under Preservation Order by the Nat-ional Monuments Department. Adjoining 'urban' areas were razed by earlier land reclamation.